Boy, oh, boy are y'all in for a TREAT today! There is some seriously stunning handmade loot up for grabs today. The winner of today's giveaway takes home $70 worth of goodness! Let's get rollin'. 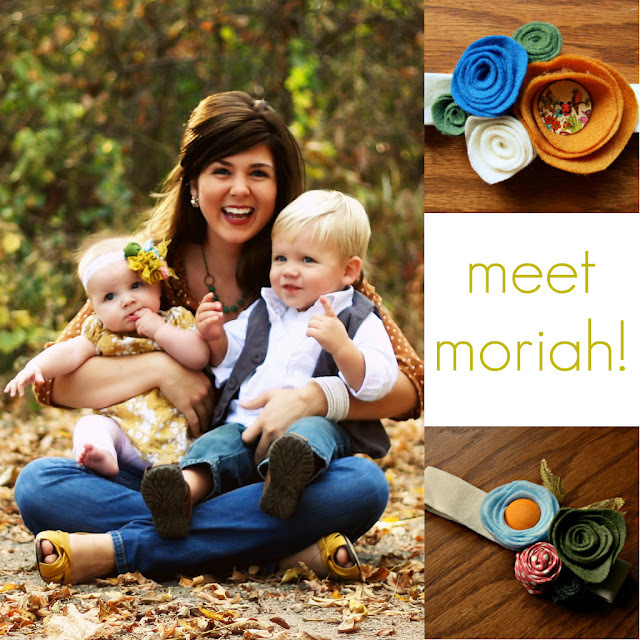 Moriah is pursuing her passion as a stay-at-home mom of two delicious babies by day, and a lifestyle blogger and handmade business owner by night. You can't tell me they're not the cutest family you ever did see! 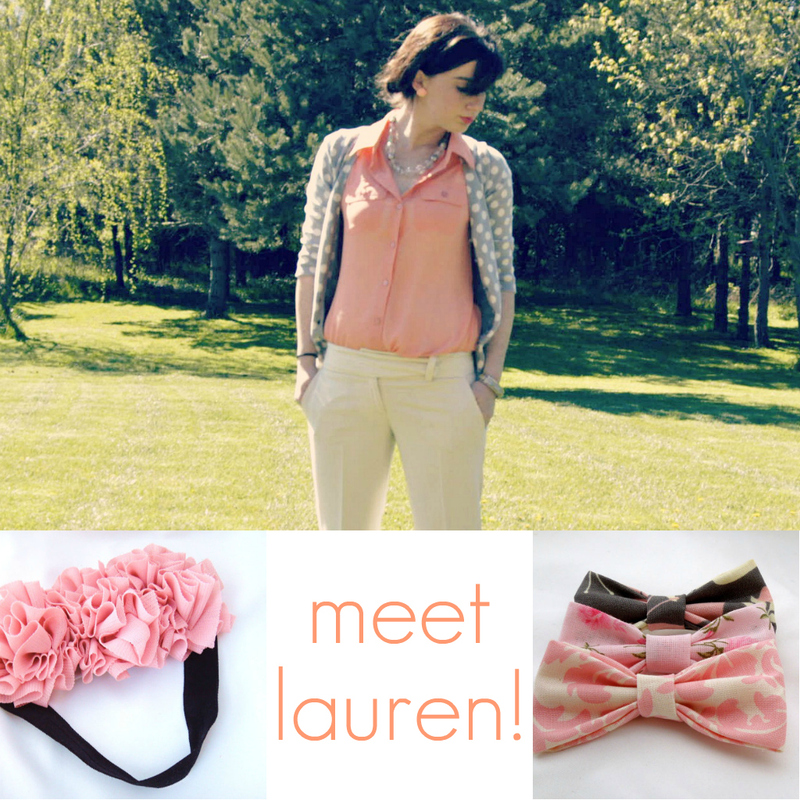 Hi, I'm Lauren! 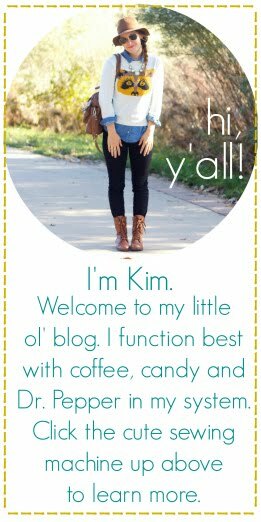 I am the creator of a little accessories shop that goes by the name of MGPdesigns and blog over at Gypsy Pioneer. I'm a momma and a thrift store junkie. I think the worlds greatest tool is a glue gun and have a special place in my heart for vintage fashion. My name is Carolina Bubenko. I am originally from Southern Mexico, now living in Alberta, Canada. I have been taking photos since 2004. My inspiration comes from seeing God's beauty through my lens. My camera is my constant companion, because I never know when a subject will present itself to me. Photography has brought joy into my life, and that's why I want to share my work with others. Her photography is absolutely stunning, isn't it? 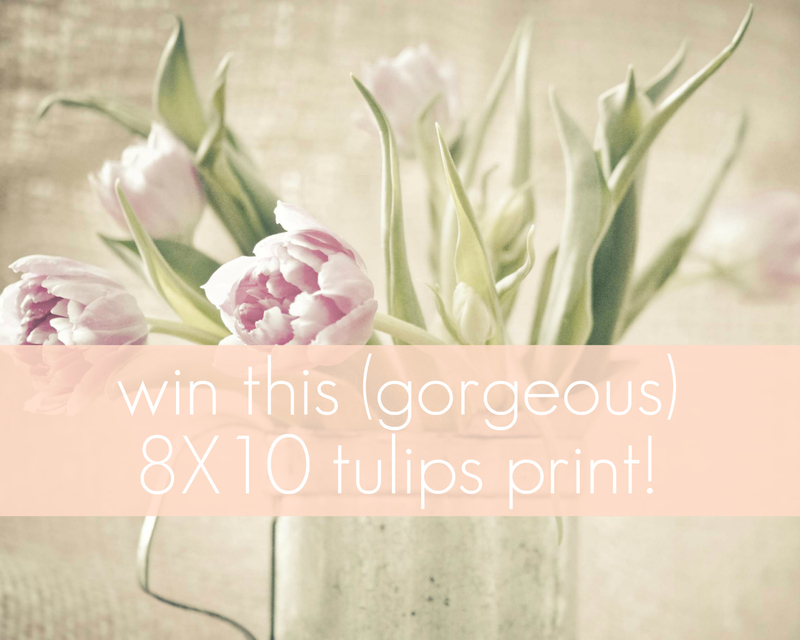 Win this tulips print in an 8X10 ($30 value) and use the code SPRINGLOVE for 10% off your purchase! To enter this GROUP giveaway, simply tell us about your favorite handmade item that you own! 4. Follow each sponsor on twitter (an entry EACH!). I love the ruffle headbands from Rad Rag Designs. They are so fun! My favorite handmade item is a messenger bag that Alison from aPearantly Sew made me. I just love it! I follow oh, sweet joy!! I love MGP's 3 floral bow clips!! I love reflecting beauty's 3 balls of yarn print!! I love moriah makes' poppy button headband!! my favorite handmade item is all the things my mother has made me, she is amazing. My favorite homemade item is a blanket from my Mama. My favorite MGP item is her bow headbands, ADORABLE! I can't pick a fav item from Reflecting Beauty, Love them allllll! 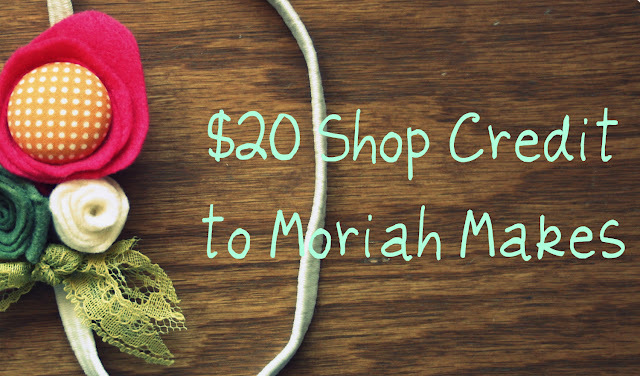 And I love all of Moriah makes necklaces! Favorites: vintage retro floral ring (MGPdesigns), the birdhouse on the prairie (reflectingbeauty) & the singer sewing machine charm necklace (moriahmakes). Great sponsors & giveaway! Thanks. I follow Oh Sweet Joy! via GFC. My favorite item is a diaper bag from my sil! My favorite handmade item is a knitted scarf! This past winter I wore it almost every day! Already follow @ohsweetjoy on twitter! My favorite handmade item that I own is my clutch from moxie mandie- it's so cute and such awesome quality! I follow Reflecting Beauty on Twitter! My favorite handmade item is a purse that my mom made for me! Hummm I love the handmade dress my first daughter wore for her birthday! 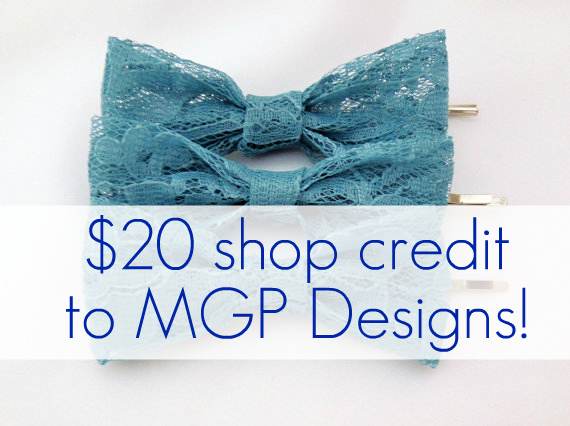 MGP Designs- Love the Set of Three Fabric Bow Clips. handmade. vintage inspired. Womens Girls Hair Accessories. Reflecting Beauty- Love the Soft Pink Carnation Fine Art Photograph, 8x10, home decor, nature, flowers, soft tones, Shabby chic. Moriah Makes- Love the Rose Felt Necklace - Custom Colors! i follow ohsweetjoy on twitter @MicaStaheli. i follow Moriah Sunde on Twitter @MicaStaheli! I follow Lauren Ashley on Twitter @MicaStaheli. 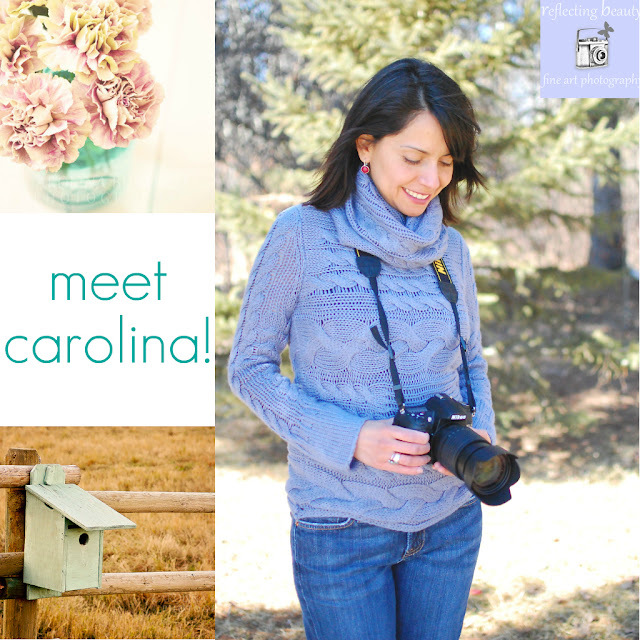 i follow Carolina (reflectingbeauty) on Twitter @MicaStaheli. I have a green headband for my daughter that I bought off etsy and I plan for it to be the one she wears in her first pics...I'm in love with it already! from RB: Soft Pink Carnation Fine Art Photograph, 8x10, home decor, nature, flowers, soft tones, Shabby chic. and following carolina on twitter. Hey! My favorite handmade item I own is a knitted rose pin. It was such a sweet surprise from a co-worker, it makes me smile every time I pin it on a jacket. MGP designs: I love the flower bobby pins! Reflecting Beauty: hard choice for a favorite, but I think the black and white begonia! Moriah Makes: I'd go for a custom felt necklace! My favorite handmade piece is a crocheted necklace that Mandipidy made me. Moriah Makes: I love the Moss Green Infinity Scarf. Reflecting Beauty: I love the Beautiful Lavender print. Lastly my favorite handmade piece that I own is painted pottery that my little ones, my husband and I made :) I have them in our kitchen and get to look at them daily! I love them so much! !